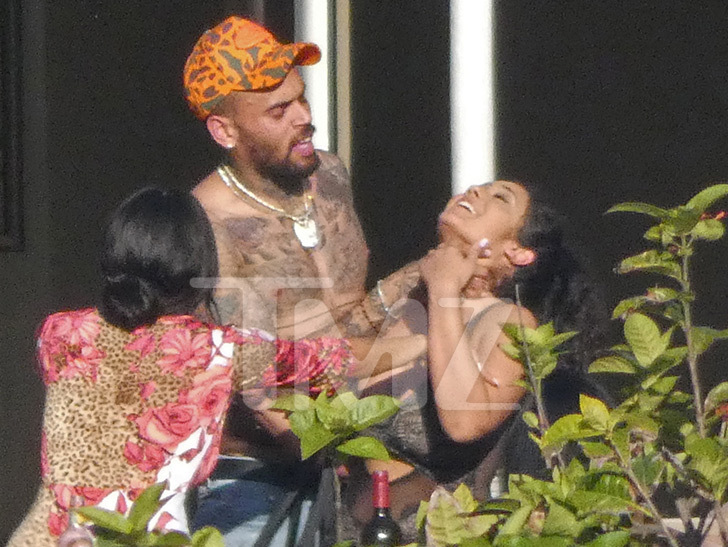 New pics just surfaced showing Chris Brown CHOKING OUT an exotical bikini girl. 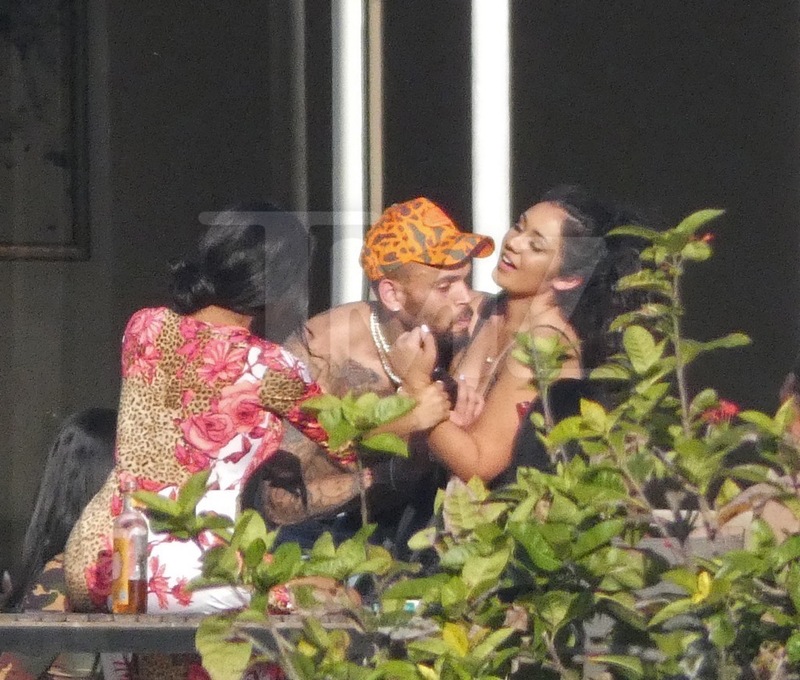 Chris is in Miami for the Ultra Festival - and he rented a house and filled it with exotical thotties. Yesterday TMZ cameras caught him choking one of the girls. Chris lawyer claims that they were just "playing." Even while his hands are around his neck, the lady in question can be seen smiling. “It’s obviously playful, as she confirmed. Whoever invaded their privacy will be held accountable," Chris&apos; lawyer told Hollywood Life. Fans were also disturbed by the woman&apos;s resemblance to his ex, Karreuche. He recently stepped into the Shade Room to comment on a picture of Karrueche and new bae, Victor Cruz. “They look really good together,” commented with a praying hands emoji. 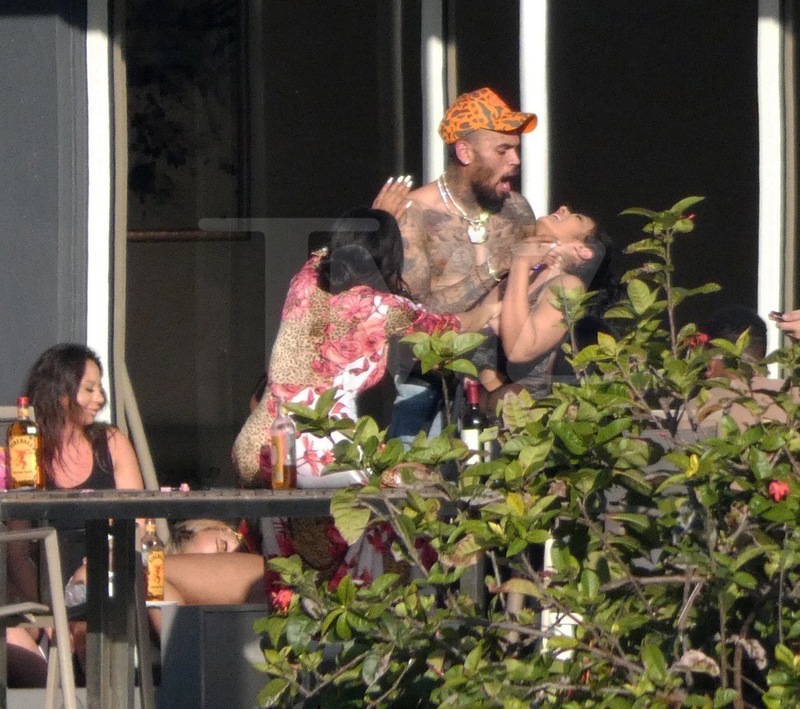 Some people feel like Chris Brown&apos;s obsession with her is becoming a little creepy. He obviously still wants her back, but she has moved on. The "Pills & Automobiles" singer has to tread lightly when it comes to even joking about domestic violence. There is still a hoard of Rihanna fans who have not forgiven him for his domestic violence incident back in 2009. This could be viewed as him mocking the incident. But look at the pics and decide for yourself.